Our back door is in bad shape and needs to be replaced. There are a couple of spots that Jackson could get hurt, so Uncle Stephen made some modifications until we can get it fixed. 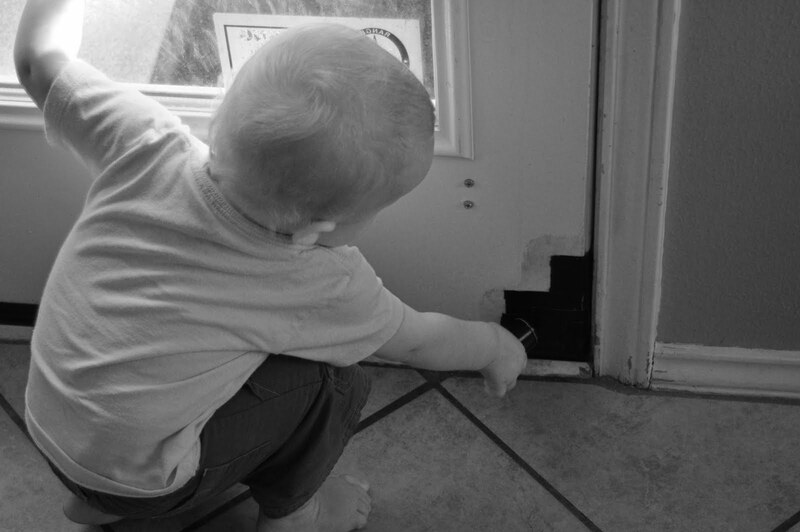 After Jackson watched Uncle Stephen working on the door, he decided he was going to help too. He even "applied" the tape to the correct two spots.